A newcomer to the world of precious stones, tanzanites were not discovered in commercial quantities until half a century ago, near the foothills of Mount Kilimanjaro in the remote region of Merelani in Northern Tanzania. Compare that to diamonds, the earliest of which were believed to have been found in India in the 4th century BC, and emeralds, which date back to the ancient Egyptians, and this baby of the gem world has achieved star status in a very short space of time. Mined in a single location, tanzanites are often referred to as the “gemstone of a generation” because this generation is likely to be the only one able to buy from the “first flush”, or primary deposit, of gemstones unearthed in Tanzania. 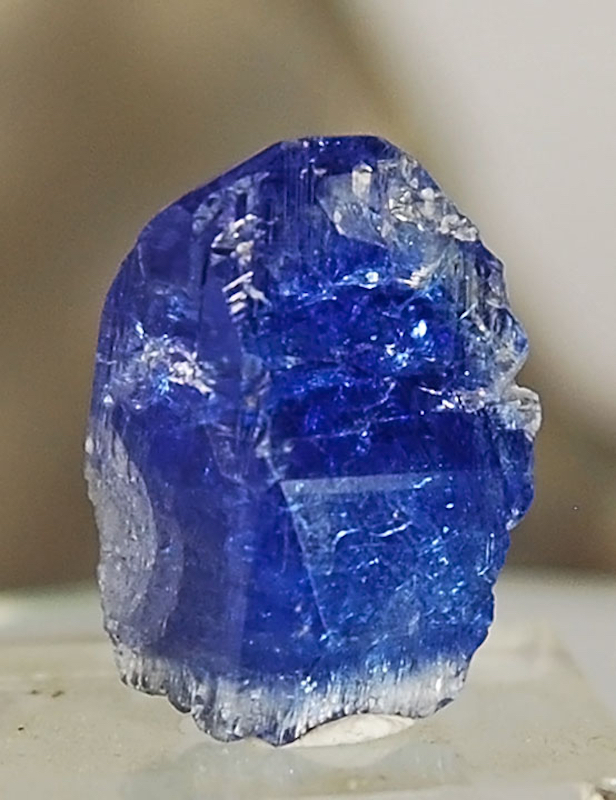 It is believed that the mines will be depleted in around 25 years, which means it is becoming increasingly difficult to find large tanzanites in the most coveted deep-blue color. 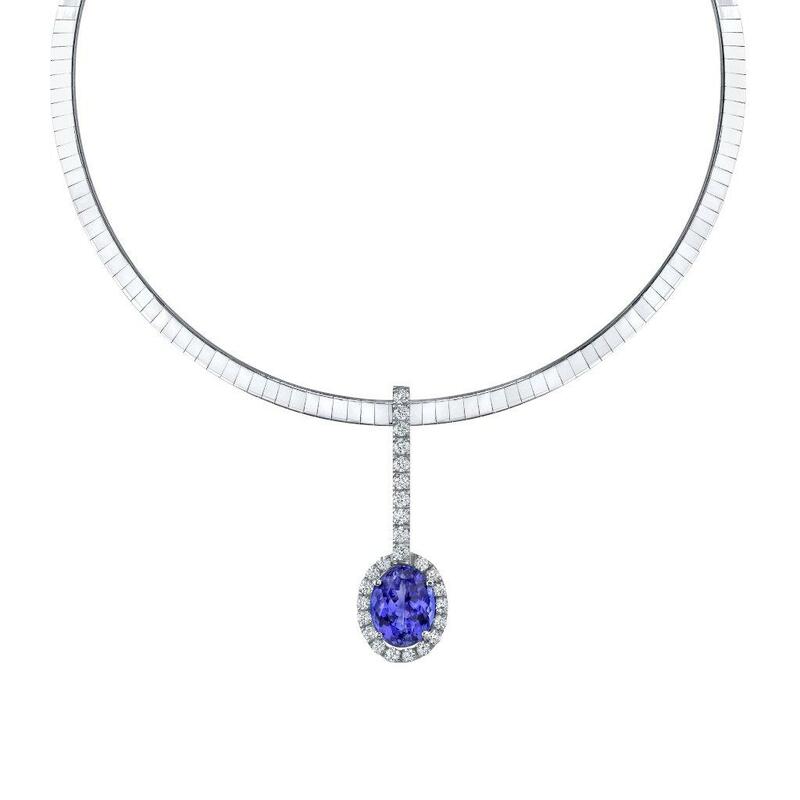 Tanzanite had its first taste of fame when Tiffany began using it in its designs just a year after its discovery – the first jeweler in the world to do so. Some rare tanzanites come out of the ground blue or violet, which can usually be attributed to natural heating when the gems are still buried in the Earth. Very occasionally, a tanzanite will display no indication of heating whatsoever, making them the rarest of all tanzanites. Hangartner also points out that, since tanzanite is not as expensive as other coveted blue gemstones, for example Kashmir sapphires, the cost of an excellent cut is reasonable. “Look for very well cut gems with good proportions and depth,” she recommends. 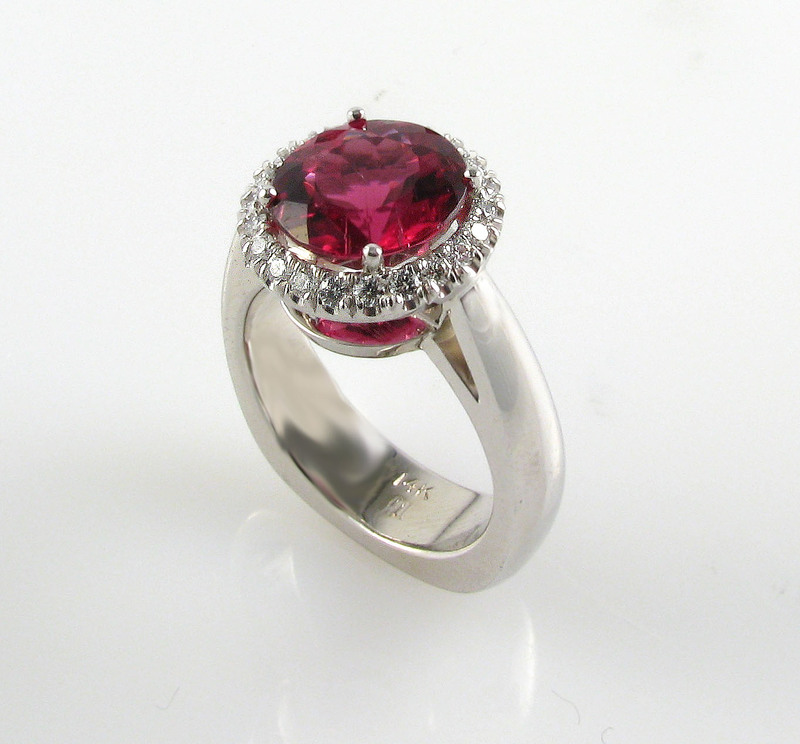 Many cultures have long considered ruby a stone of kings. Not surprisingly, ruby symbolism and lore have many associations with power, wealth, and their protection. 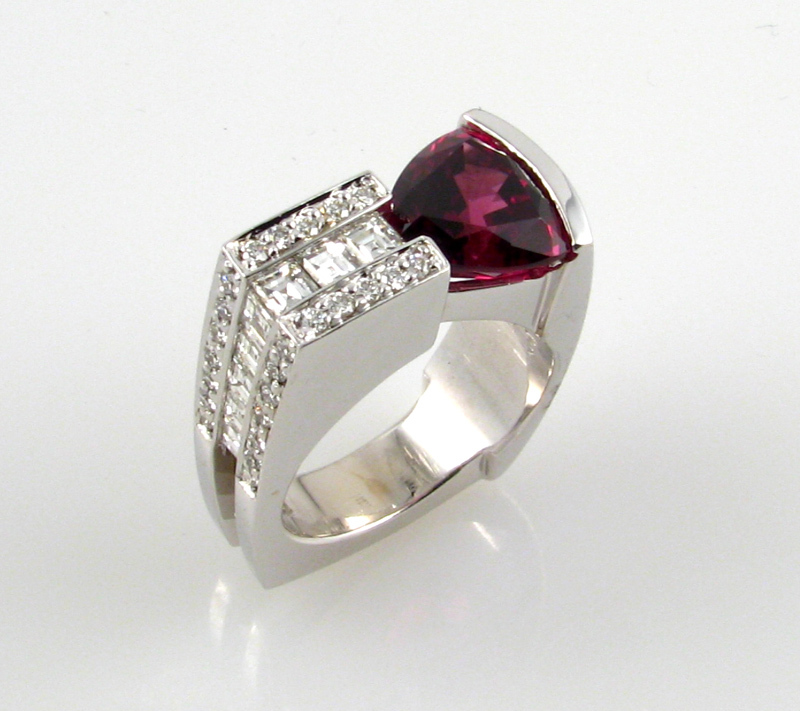 Possessing a ruby purportedly benefited and protected the owner’s estates and assisted in the accumulation of wealth. Notably, this gem would help its owner acquire more gems. 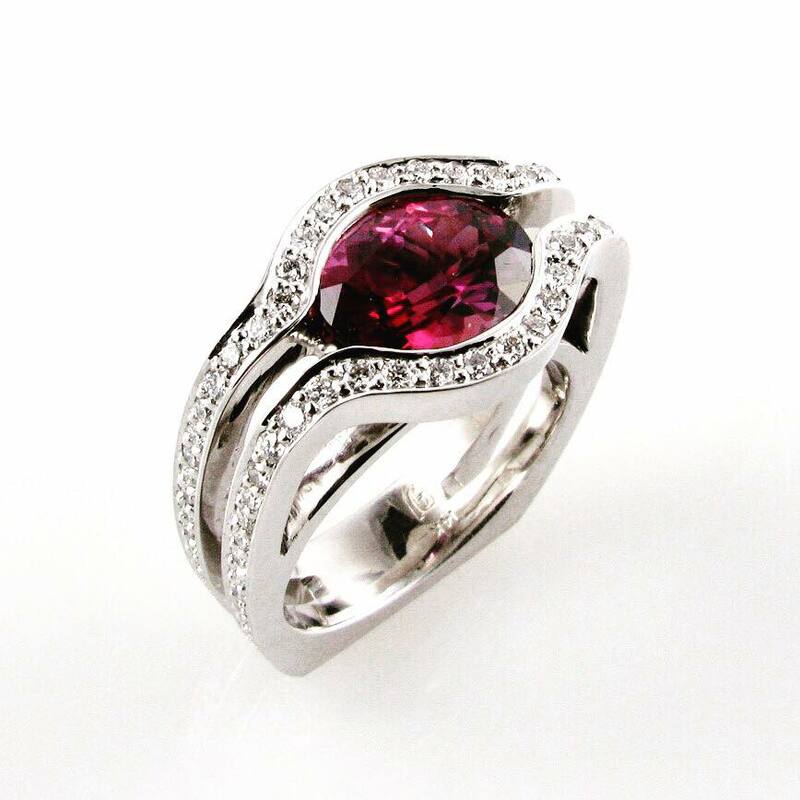 When worn as a talisman, ruby’s mystical properties extended to personal protection. People believed wearing the stone on the left, the heart side, would allow the bearers to live peacefully. None could take their land or rank. The blood-colored stone would preserve them from all perils, even their homes from storms. Ruby’s blood-like color no doubt encouraged strong associations with this life sustaining fluid. Those who risked their lives were believed to have a special connection to the gem. The ancient Burmese prized the ruby as the stone of soldiers. They believed it bestowed invulnerability. However, wearing it on the left was not sufficient. Only those who had rubies physically inserted into their flesh would gain this benefit. They believed they were safe from wounds from spears, swords, or guns. Other sources claim rubies and other red stones can remedy bleeding and inflammation as well as increase the body’s warmth. Hindus regard the ruby, known as “the king of precious stones,” as more valuable than any other gem. The Mani Mala describes the Kalpa Tree, a symbolic offering to the Hindu gods, as composed entirely of precious stones. This magnificent tree would bear rubies as fruit. An 8th century CE Arabic book on dreams by Achametis discusses the significance of dreams of rubies. If a king dreams of a crown set with red jewels such as rubies, this indicates he will have great joy and fortune. His enemies would fear him even more. 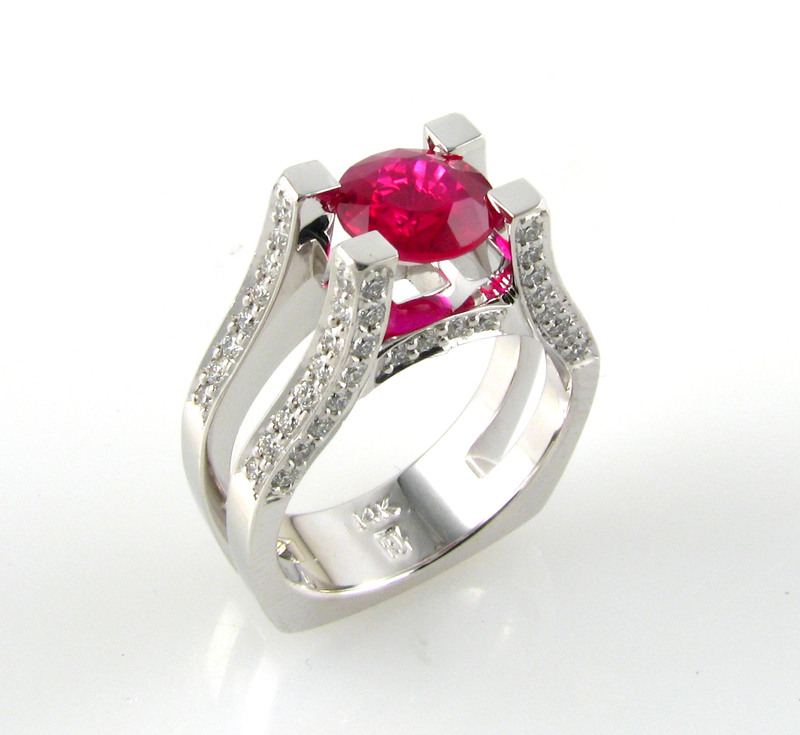 Other sources tell that dreams of rubies indicate success in business. For tillers of the soil, the dreams mean a good harvest. With such a long and varied history, no wonder the ruby has acquired such a mystique. We all want our things to be the very best. Of course, ruby owners have a vested interest in their possessions, but the ruby has the reputation and beauty to back such claims. So, if you want a gem to increase your wealth, impress your rivals, and protect yourself from harm, the legends point to ruby. 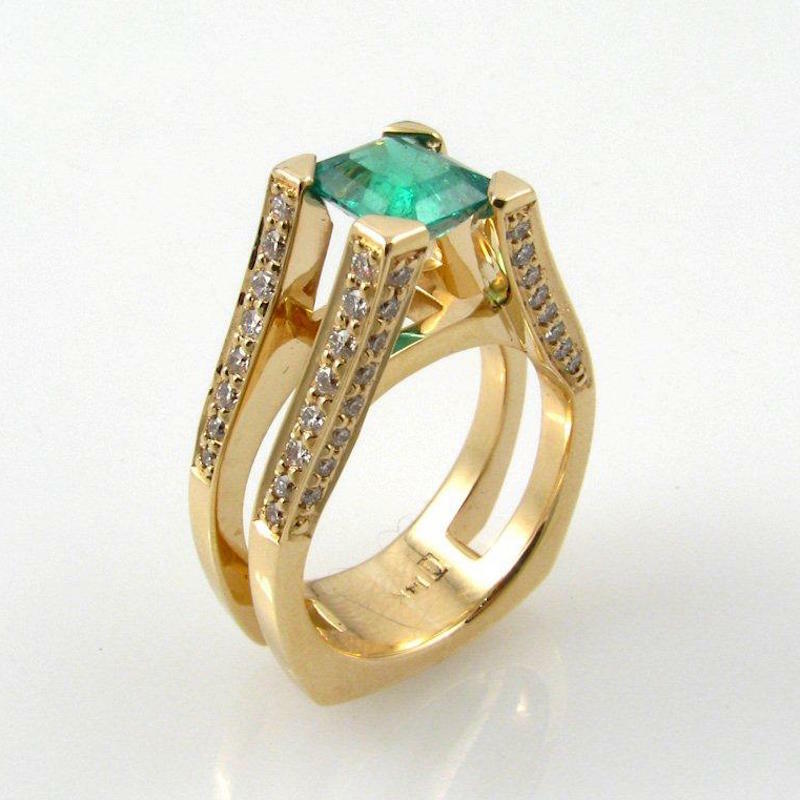 Colombian emeralds have a history that dates back long before the Spanish Conquistadors arrived in South America in the 16th century and started trading the gems with the Indian Moghuls. 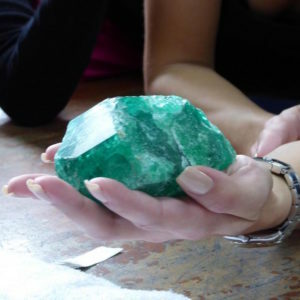 Zambian emeralds are much younger, discovered in the 1920s, but not properly mined until the 1970s and now sustainably managed by Gemfields, which took control of Kagem, the largest emerald mine in the world, in 2008. Without getting too swept away by geology, these stones come from the beryl family and derive their silky, rich green color from the presence of chromium and vanadium. African emeralds differ slightly because there is less vanadium, while the additional presence of iron gives them a bluish undertone. Chromium gives the emerald its fluorescence, and disrupts the crystal structures with inclusions that infuse the emeralds with beautiful “jardins,” which are particularly noticeable in Colombian emeralds. There are fewer inclusions in Zambian emeralds. Nature is full of unexplained mysteries, and what is extraordinary is that emeralds in Colombia are created in completely different types of rock compared to those from Zambia, as American emerald expert Ronald Ringsrud points out: “For years, geologists couldn’t understand how emeralds were formed.” Unlike most gemstones, the creation of emeralds can only happen when two different rock types come into contact with one another. According to Gemfields, Zambian emeralds were created by billion-year-old metamorphic rock coming into contact with million-year-old granite rock. So, as you can see, this mysterious fluke of nature happened over the course of millions of years. Colombian emeralds, however, evolved in sedimentary rock. Due to huge surges in heat and pressure, emeralds were the result of the cooling of hydrothermal liquids. The best emeralds in the world traditionally originate in the Muzo and Chivor mines in the lush green mountains north of Bogotá, Colombia. These are the oldest mines and the quality is such that “experts are able to detect which mines the gems emerged from by their structure, although Chivor, La Pita and Muzo do share similar color qualities,” explains Ringsrud. Emeralds are 20 times rarer than diamonds. 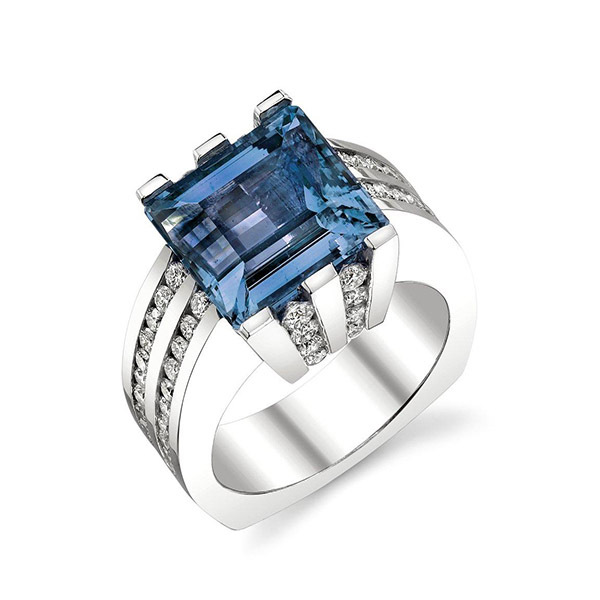 If You’re Feeling Blue, Wear a Sapphire! When most people inquire about the grading classification of a sapphire, they expect that it will have a similar standardized system as diamond grading. Standardized grading of color, clarity and cutting has never been something that has been established on a uniform basis within the trade or within the various independent gemological laboratories. There are many legitimate reasons why this is the case. The basis is this: There are too many unique variables and subjective gradings within the realm of colored stones. Diamonds for example, are not graded on tone, saturation or type of color – they are graded on the basis of not having any color. The baseline is colorless in diamonds. The diamond laboratories now use computer equipment that will electronically grade diamond color content against a baseline of colorlessness. You can’t do this with sapphires and other colored gemstones. This does not mean that all colored stones are included; rarely can you see inclusions without the support of magnification. Even in “included” colored stones it is difficult to see clarity issues without close inspection or with the aid of a loupe or microscope. It must be pleasing to your eye. Whether it be blue, pink, yellow, Padparadscha, or unique sapphire colors, this is the first priority in purchasing a sapphire. Color is subjective, but usually on beautiful things most people agree. Something with a good purity of color that shows well in all lighting conditions is what will usually be in high demand, and hence cost more than a sapphire with mixed color tones. 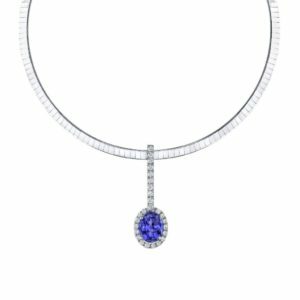 Treated sapphires cost MUCH less than stones that are untreated (they should if you are buying from a reputable source). At The Natural Sapphire Company we only try to offer 100% untreated sapphires. There are so many different types of treated sapphires. If you would like to learn more about the many types of treatments please refer to the Before and After Photos. If you can see inclusions within the sapphire easily this will bring the value down. If you can’t see anything at all within the stone then this will be very rare, as sapphires will almost always have some internal visual inclusions. 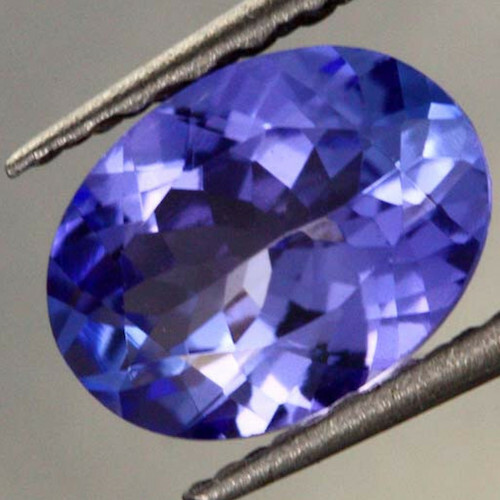 Full light and color reflection is a very important part of a fine sapphire. A “window” is a term used when the center of the stone is lifeless and has no color or light reflection. A “window” will allow you to see through the backside of the sapphire. Large windows should bring the price down in a sapphire, while a stone with no window and full color and light reflection should increase the price. Faceting a sapphire takes great talent and care. It takes decades to master this rare skill. A beautiful cut transforms the rough crystal into an extremely fine stone. Window: an area in a transparent gemstone where the body color appears to be see-through or watery. This occurs when the crown or pavilion angles are cut shallowly, causing light to leak out of the pavilion. 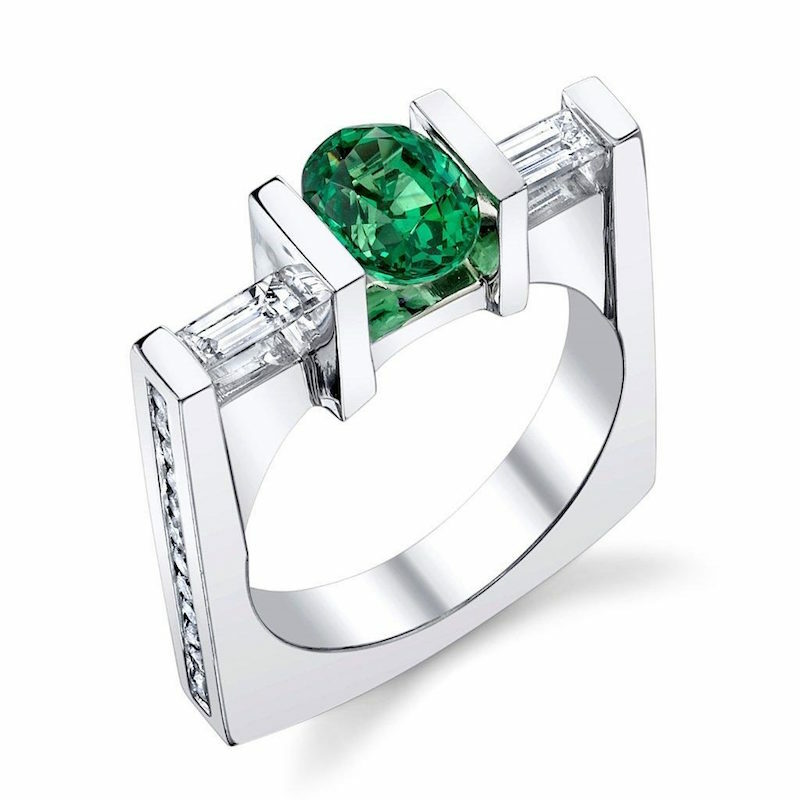 Brilliance: the amount of light that a cut gemstone reflects back to the viewer from the interior of the stone. 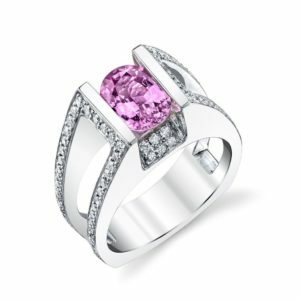 Brilliance is a consequence of cut and it is an important characteristic because it determines the perceived liveliness and color of a gemstone. Extinction: an area of a transparent gemstone where the body color looks very dark to black. This occurs when gemstones are cut with excessively deep pavilions. Zoning, or sometimes referred to as “color-zoning” is when the color intensity or color purity is not uniform throughout the sapphire. If you can see more color on one side but less on another side of a stone this should decrease the price. 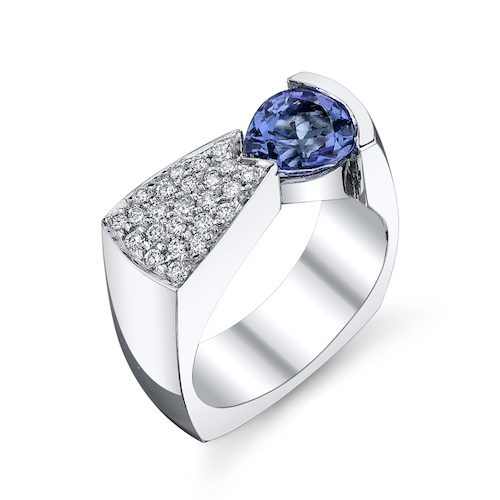 The size of a sapphire will have a good amount of influence over its price vs. a smaller stone of similar attributes. 1-2 carat sapphires in fine quality are quite rare. Medium to lower qualities are not very uncommon. 3-4 carat sapphires in fine quality are difficult to replace. Medium to lower qualities are available but not in large quantities. 5-7 carat sapphires in fine quality are very rare and almost impossible to match or replace. Medium to lower qualities are rare in this size as well. 8-10 carat sapphires in fine quality are one of a kind, no two stones are the same, reliable supply is not possible to maintain. Medium to lower qualities are rare and difficult to obtain as well. 10+ carat sapphires in fine quality are usually referred to as “Important” as they are always one of a kind, extremely expensive in blue, pink and rare colors. These stones are for the lucky and fortunate, not just the wealthy. Just to see these types of sapphires in person is referred to as a privilege. The origin of a sapphire can have significant value determination. Sapphires have historical references in history and culture from particular locations that can weigh heavily on their values today. Burmese and Ceylon (Sri Lankan) sapphires have been characterized as fine sapphires in Europe for centuries, but Kashmir sapphires now have elite status, as they are no longer being found or mined. Colored diamonds in and of themselves are an unusual find. As rare as they are, however, chameleon diamonds are particularly awe-inspiring because of certain qualities that no other stones possess. At the core of those characteristics is a unique power: the ability to change color. These diamonds, true to their name, actually adapt to their environment and temporarily switch colors, switch hues. What makes these stones so fascinating is not only their color-changing capability, but also the fact that very little has been written about them. In fact, the precise definition of chameleon diamonds is still not entirely clear. What is certain, though, is that experts will continue to study these gems in an effort to learn more about their incredible qualities. For these reasons, chameleon diamonds remain an intriguing phenomenon and a highly sought-after addition to any connoisseurs or investor’s collection. Here’s what is currently known about these remarkable gemstones. As chameleon diamonds’ colors change, many wonder what hue they default to in their natural state. While they normally appear to be green diamonds, they can morph to a range of shades from the brown side of the spectrum to yellow. So what causes their hue to switch? It’s a combination of light and heat that gives these stones their superpower. Chopard explained that while typically these diamonds will look olive green or greyish-green, they can shift to an intense yellow or orangy-yellow when kept in the dark for a full 24 hours or more, or when they are heated to about 392 degrees Fahrenheit. This change doesn’t usually last long, though. When the stones cool down or are exposed to daylight, they will gradually go back to their green hue. 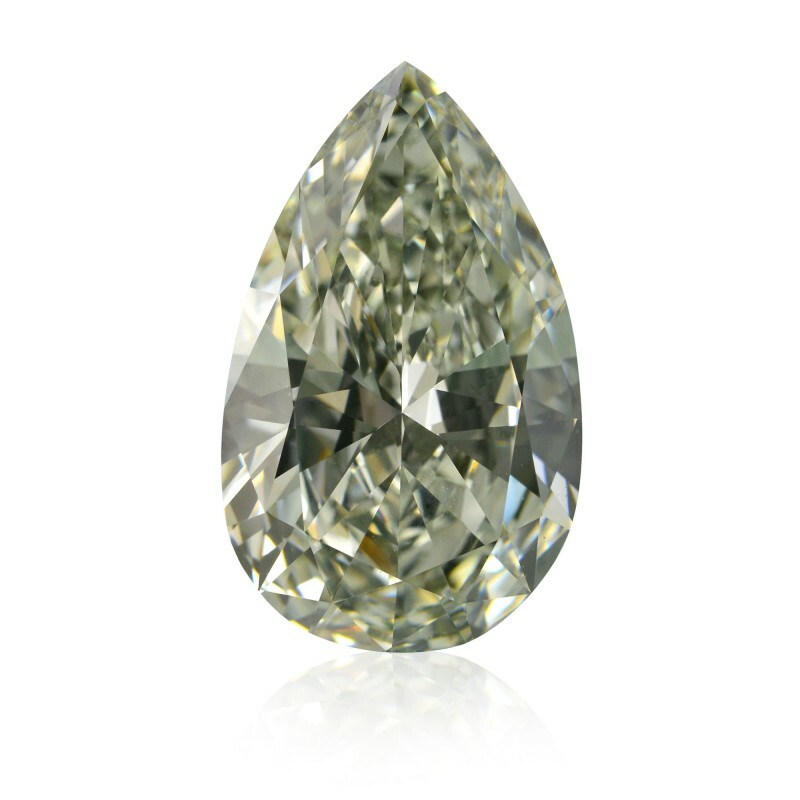 Katerina Perez, a gemologist, noted on her blog that a diamond typically revert to its olive shade in 10 minutes if it changed hues due to being stored in the dark. She also revealed that not all chameleons go from a darker hue to a light one – some shift colors in the reverse, from yellow to green. Researchers are still unable to thoroughly explain these color-changing behaviors, which are known as thermochromism (a switch in response to heat) and a photochromism (a switch in response to light). Still, these diamonds all contain unusually high concentrations of hydrogen, as well as traces of nickel and nitrogen, in their crystal structure. This nitrogen-hydrogen complex could be responsible for the chameleon effect. Some experts believe that chameleon diamonds have luminescent and phosphorescent properties. It wasn’t until 1943 that the first chameleon diamond was studied at the Gemological Institute of America. Before that, most traders and jewelers assumed these stones were simply green diamonds. Specialists at the GIA conducted a series of experiments and tests on 29 diamonds to determine the differences between typical green stones and chameleons. Katerina Perez explained that an ordinary green diamond that is exposed to extreme heat will permanently change colors, whereas a true chameleon will be able to return to its original hue. As far as where chameleon diamonds come from, the GIA report stated that the exact origins remain unknown. What is known is that about 40 percent of these stones were purchased in India, 30 percent were bought in Antwerp and 30 percent were acquired in Tel Aviv. There have been several notable chameleon diamonds thus far. The Chopard Chameleon Diamond is the largest documented stone of this kind is a 31.32-carat oval-cut chameleon diamond that boasted exceptional clarity and color is an especially striking example. Another amazing stone cited by Africa Gems is an 8.04-carat radiant-cut diamond that the GIA classified as a fancy dark grey green chameleon. This diamond was set in a rose gold ring surrounded by a pave frame of small pink diamonds, and is estimated to be worth about $2,100,000. Katerina Perez reported that back in 2011, Christie’s auctioned off an 8.8-carat chameleon diamond ring in Hong Kong, and it ultimately sold for $590,000. 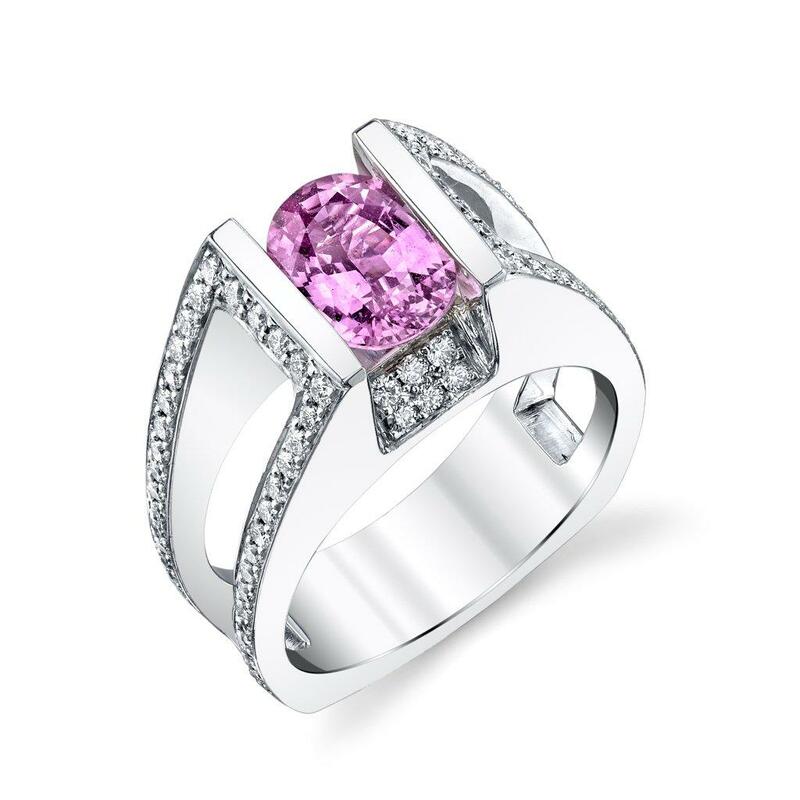 Africa Gems also pointed to a chameleon diamond, weighing over 4 carats, that is set in a platinum ring. This piece fetched an impressive $240,000 in a Hong Kong auction. In 1961, I was working for the United Kingdom Atomic Energy Authority in Zimbabwe, as part of a program to assess the beryl reserves of the country, when I noted that the rock types forming the upper part of a nearby range of hills were of a very different chemical composition. I headed to the foot of the hills armed with a geological hammer and climbed towards the crest of the range. Near the top, a gray-white band of crystalline limestone cut across the gully and, as I approached it, I noticed pin fire flashes of green in the morning sunlight. On closer inspection, I found the limestone was studded with small, green stones, some of which were euhedral. They were green garnets. The second time I encountered a green garnet deposit was in 1967 in northern Tanzania. The deposits lay in a low range of hills lying some 30 kilometres to the south of Arusha near a small village called Komolo. These hills are a southwesterly extension of the Merelani Hills where Tanzanite had been discovered about a year previously. The green garnets occurred under similar geological conditions to those in Zimbabwe, the principal host rocks being graphite gneiss and crystalline limestone. When I tested the garnets, I found them to be grossularite – the green imparted by traces of vanadium and chrome oxide. I took some cut green grossulars to show Henry B. Platt, president of Tiffany and Co., who had named the blue zoisite Tanzanite in honour of its country of origin. Platt was very impressed and excited by these beautiful green garnets, and so I asked him if Tiffany would be interested in promoting this gemstone in the same way that it had promoted Tanzanite. I replied that I could probably supply a small handful of cut stones, in this size category. He then asked, “How many stones of an important size (three-carats and up) could you supply per month? We have a lot of customers who like to wear important looking gemstones”. As it turned out, Tanzania’s mines were nationalised and the Komolo green garnet mine was handed over to a local co-op. Looking for a more stable investment environment, I left Tanzania and moved to Kenya. I obtained geological maps prepared by geologists of the British colonial government and studied them to identify areas that had the kind of petrographic geology conducive to the formation of green grossularite garnet deposits. The next step was to study aerial photographs to verify structural features such as faults and folds, both shown on the maps and to look for unmapped structures. Three separate areas showed exceptional promise. The first that I decided to investigate lay to the south of the Taita Hills, in southeastern Kenya. I made my way along bush tracks towards the area that I wished to prospect and, just before nightfall, the low range of hills that I had chosen from the maps came into view. As luck would have it, it was only a few hours before I found my first few pieces of green garnet at the base of an ant heap out of which they had probably been weathered. A pendant set with a 3.5-carat Tsavorite heart set in 18 carat gold, and pavé diamonds. These termites often bring fragments of stones to the surface from several tens of feet depth in their search for the water table. This was enough to encourage me to set up a field camp with a small team. We set about systematic traversing across the strike of the rock horizons looking for indications of green garnet deposits that might prove to be economic. It was my wife Judy who actually picked up the first substantial piece of gem green grossularite, with the shout of, “Eureka!” on a low hill that we were later to name GG1. When she called me over, I was able to find a few more pieces. Having found a number of pieces within a relatively small area, the likelihood was that a green grossularite lode existed nearby. This proved to be the case and we opened the GG1 mine to be followed by GG2, Treehouse Hill Deposit, GG3 or ‘Elephant Skull Mine’ and, finally, the ‘Scorpion Mine’ – which was the richest of all and which we mine at the present time. In early 1974, Henry Platt decided that this beautiful green garnet needed to be given a trade name that, in keeping with scientific mineralogical nomenclature, had to end in an ‘ite’. We finally decided to name it after the nearby Tsavo National Park, famous for its great elephants, hence the name, Tsavorite. Tsavorite is still a fraction of the price of an equivalent-quality emerald, even though it has superior qualities. Tsavorite’s relatively recent discovery and availability in limited quantities have not given it the necessary exposure that emerald has enjoyed over the past several thousand years. The classical concept that a gemstone has to be beautiful, durable and rare to obtain high value is fallacious in that as Platt and Liddicoat, both giants in their fields, summed up: a gemstone must be found in sufficient quantities and larger sizes on a regular basis to enable jewellers to promote it, thereby creating awareness. Already some knowledgeable connoisseurs, cutters and jewellery manufacturers have recognized the fact that, as Tsavorite is isotropic, it does not have to be orientated as does dichroic Emerald in order to obtain the best colour in the table. Tsavorite is also not as brittle as emerald. These factors make it both easier to cut and less hazardous to set. 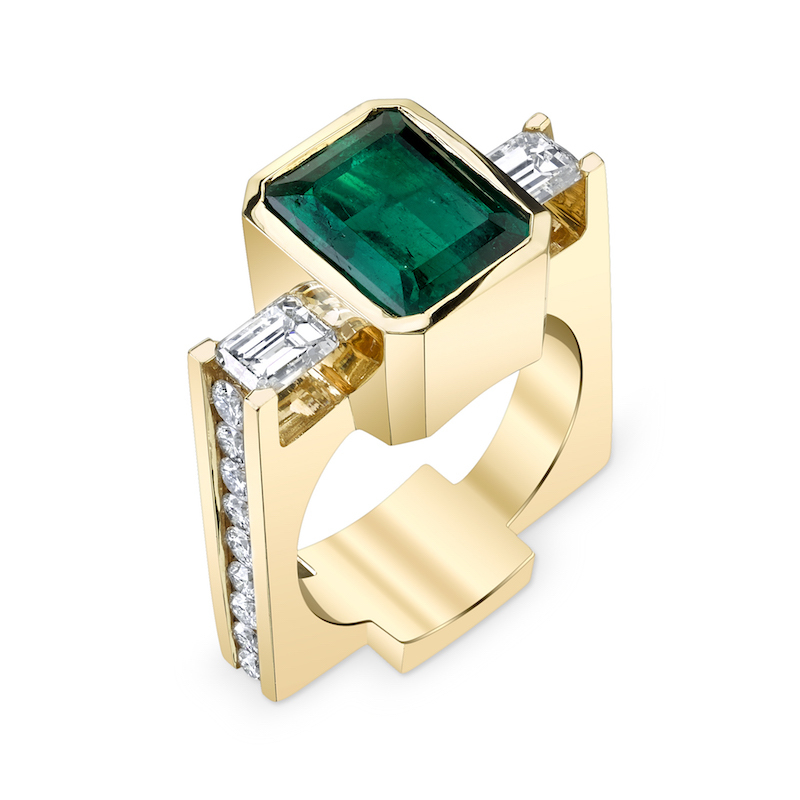 In addition, Tsavorite is not oiled or artificially enhanced. Put all the above factors together and you have a sure winner. Supply is the key and this is being addressed as more prospectors search for new deposits. Meanwhile, current miners of Tsavorite, increasingly realising the stone’s potential, are stepping up their production efforts. It is apparent that once sufficient quantities of Tsavorite are available to promote this wonderful green gemstone to the general public, demand should go through the roof and prices will increase accordingly. One of the most remarkable things about alexandrite is the way it changes color under varying light sources. Green in natural light, red to purple to grey in artificial light – the more marked the transition in color and the more vivid the shades, the more prized and expensive the stone. An alexandrite of fine quality in a large size is scarcer than ruby, emerald or sapphire. The gem is rare because its creation requires the marriage of two different kinds of stone: one made from aluminium and beryllium, the other made of chrome. As conditions fostering such development during the Earth’s formation were rare, the occurrence of alexandrite is very small. Natural alexandrite is a member of the chrysoberyl family, a group of gems consisting of a colourless to yellow-toned chrysoberyl and a kind of cat’s eye. While all chrysoberyl contains beryllium aluminium oxide, alexandrite also contains chrome, iron and titanium. It is the chrome to which alexandrite owes its unique ability to change color. However, this is unusual. 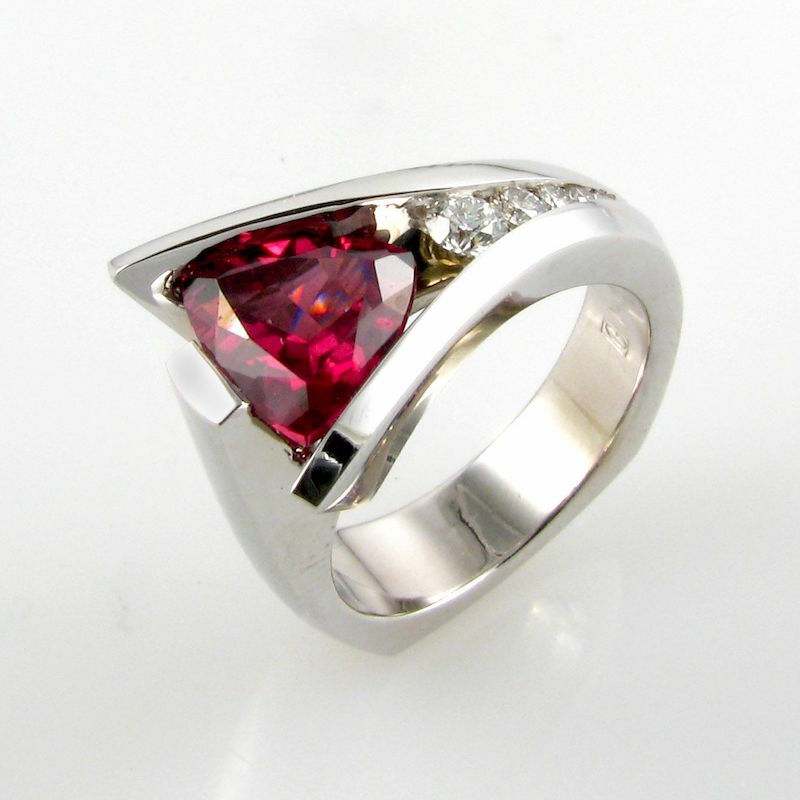 While chrome is known to give color to many stones, only in alexandrite does it allow for a change of shades. Few examples of alexandrite were found for many years due to its scarcity. This dearth lasted until 1987 when a new find of alexandrite was uncovered in Hematita, Brazil. With this new discovery came another: that the alexandrite comes in colour combinations of red to aqua blue as well as red to green. Despite having been expired of any deposits years ago, many still believe the best quality alexandrite was found in Russia’s Ural Mountains and any alexandrite certified to be of this origin is very highly valued among those in the trade. While stones have been discovered around the world, specimens are said to pale in comparison to their Russian cousins, lacking the brilliant contrast between red and green tones. Fittingly, alexandrite derives its name from the Tsar of Russia, Alexander II, who apparently celebrated his birthday on the same day that the gem was first discovered in 1830. In addition, alexandrite displays the same red and green that comprised the colors of Imperialist Russia’s flag. Because of this, it is looked upon as a gem that brings good fortune to those who wear it. Other mystical properties assigned to alexandrite are its alleged ability to sharpen intuition and intellect by imparting new knowledge and presenting new solutions. Alexandrite is also said to promote imagination and creativity in its wearers. It can boost their self-esteem and allow them to experience heightened joy. 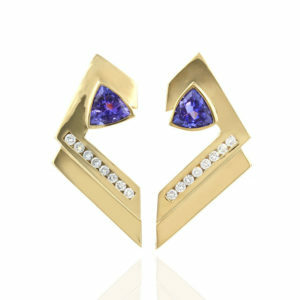 The stone is also said to help balance one’s emotional state and enhance feelings of passion. Healthwise, the gem is believed to be useful in helping to treat disorders of the pancreas, lymph nodes and spleen, as well as relieving the symptoms of leukaemia. While not widely used in today’s jewellery on account of its rarity, alexandrite can be found in pieces from the 19th and 20th centuries. Master gemmologist George Kunz for Tiffany and Co. created many alexandrite pieces during these years. Our current location is at 4211 N. Marshall Way, Scottsdale, AZ 85251 (Old Town Scottsdale). Phone number: 480-941-1707. Please come see our collection!